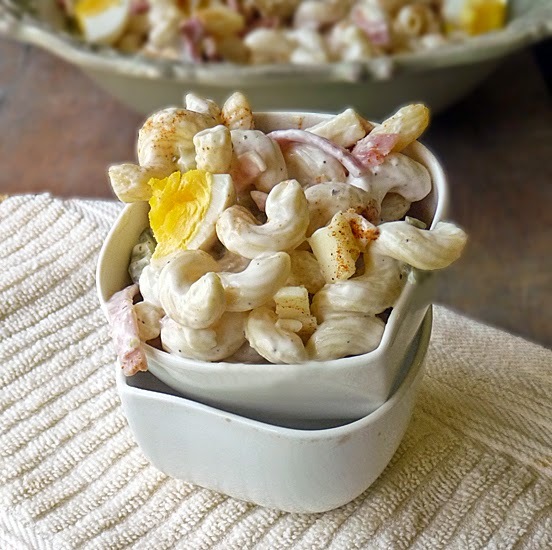 Macaroni Salad with Ham and Cheese is such a treat and super easy to make! This is comfort food for the summer y'all! I could eat a big 'ol bowl of this stuff and call it a day! It's that good! 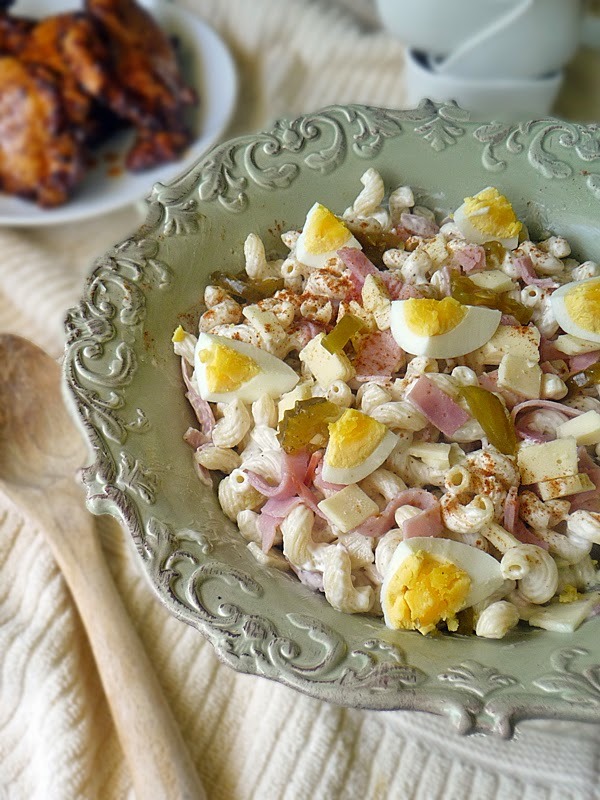 This recipe is my attempt at recreating grandma's delicious macaroni salad she made for us many times over the years! And by grandma, I'm talking about my mother-in-law. Grandma can make a mean salad! I can never get it just right, because clearly she has the magic touch when it comes to making her famous macaroni salad. She's also famous for her potato salad. My version of that is coming soon as well. It's good but, once again, not grandma good! I don't really have a recipe per say. This is one of those recipes where you fly by the seat of your pants and if it tastes good - do it! I did, however, try to jot down a few measurements for this post as a guideline. That is in bold and underlined to show how serious I am about it! 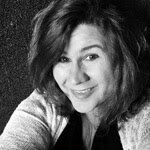 Honestly, I'll say it again, if it feels good, do it! Go with your gut and taste, taste, taste as you go! That's the best part of all! Give it a taste after each addition and adjust as needed to your liking. Don doesn't really like it too 'wet', so I'm careful with the mayo. By all means if you want more mayo - put it in there! Don't be shy about mayo usage, and for the love of all that is good in this great world PLEASE use real mayo! I'm begging you! 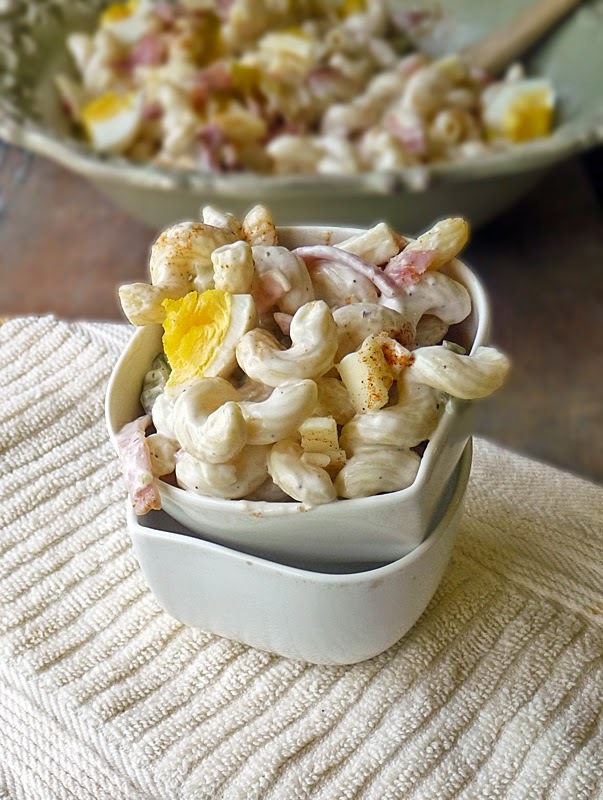 It's like the law when making a good macaroni salad. It certainly should be! 1/4 cup diced bread and butter pickles. Sometimes I use a sweet relish, but that is typically only when my good friend blesses me some of her homemade stash. It is to die for! Combine 1/4 cup mayo with the chilled noodles and mix to coat all the noodles. Add 1/8 cup juice from the pickles, 1/4 cup diced ham, 1/4 cup diced cheese, and 1/4 cup diced bread and butter pickles into chilled pasta noodles and mix to combine well. Give it a taste and add more of anything or everything to suit your tastes. Sprinkle with paprika and season with salt and pepper until it is just right! Put it in the fridge so all those flavors can mingle a bit. It will taste better after sometime mingling together in the fridge. When ready to serve, give it another taste and adjust the flavors as needed. Sometimes the noodles get greedy and really soak up the mayo, so if it seems a little dry, don't be shy about adding more mayo. Enjoy! Follow Life Tastes Good's board LIfe Tastes Good: Pasta on Pinterest. YUM Marion! This looks delicious! Thanks for stopping by Erica!! 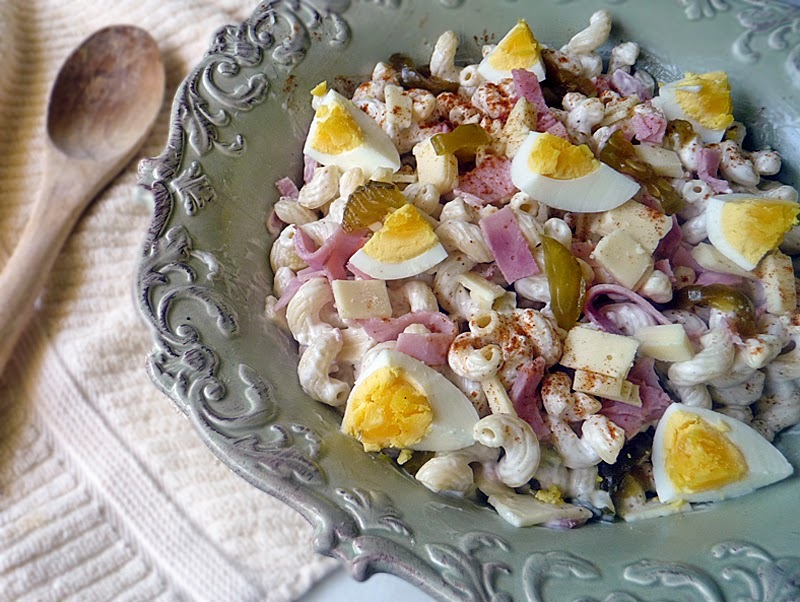 this looks like wonderful macaroni salad, one of my favs for summer. Love how different this seems (love that pickle juice!!). I agree, use real mayo (I'm a Hellmanns girl all the way). Grumpy usually likes me to make my salad a little wetter due to the fact that the next day, it is a little too dry for him after it sits and the pasta soaks up that moisture. Yep! I sometimes have to add more mayo the next day too. Thanks for stopping in Shelby! This sounds great, The only time I use mayo is in tuna and noodle salads, but it is definitely the way to go. I look forward to testing this out! Oh this salad brings back memories! Sounds so good, I'll be pinning this for later! This looks awesome. I love that you are sharing your grandma's recipe. I love your bowl. This has got to be the best thing ever. I think my boyfriend and I ate this for 2 weeks straight. I'm so glad you love it, Rachel! Thanks for stopping by and making my day :) Have a super week!